Smart Secretarial Service performs various administrative tasks and typing projects for architects, teachers, authors, contractors and home based business owners. We type resumes, college papers, general correspondence and documents for individuals as well. In addition, our background includes over ten years of administrative and secretarial experience working in law firms, accounting firms and other corporate offices. 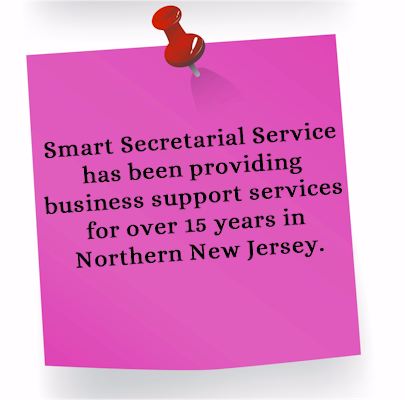 Smart Secretarial Service provides reliable business support at competitive rates. All work is done remotely by email, telephone, fax, and regular mail from our fully equipped office which includes a desktop computer with the latest software, color laser printer, scanner, fax machine, high speed internet, photocopier and electric typewriter. Each project is handled professionally with meticulous attention to detail, confidentiality and focus on customer satisfaction.